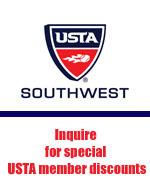 Inquire for special USTA Southwest member rate for classes and private lessons! (Scottsdale, Ariz. Dec 20, 2012) – Method Athlete, a training and fitness facility that combines proven methodology with practical, expert training, joins forces with Hyatt Regency Scottsdale Resort and Spa at Gainey Ranch to provide a complete fitness and training program for tennis players of all skill sets. The Total Tennis Performance Program addresses every aspect of a player’s game starting with strength and fitness training and ending with performance and skill set on the court. "As a fitness trainer, I often help tennis players through injuries in the areas of the knee, shoulder, elbow and ankle," says Mark Norton, general manager and fitness trainer at Method Athlete. "Players spend a lot of time focusing on the specifics of their game, but less on strength and conditioning. The Total Tennis Performance Program will change all of that. We will help build strength and agility while also addressing the mechanics of their game. Tennis players will become stronger, quicker and reduce the risk of injuries. Ultimately, they will become better, healthier tennis players." Classes will begin January 7th, 2013 and training will take place at the Hyatt at Gainey Ranch Tennis Courts. The program will start with on-court group classes that focus on increased mobility, strength, and stability and combine the expertise of the Director of Tennis, Joshua Cooperman, for overall game-specific stroke and technique performance. Each player will receive a specific conditioning program that will improve any player’s game. NOTE: Special $20/session for USTA members and discounts off of private lessons. Email joshua@scottsdaletennis.org or call 480-335-6263 for details! "Whether someone is a tournament level player or a beginner releasing some stress on the court, there is always value in learning how to do something you enjoy a little better," says Joshua Cooperman, director of tennis, Hyatt Regency Scottsdale Resort and Spa. "Fitness, strength and conditioning are critical on the court no matter how old you are or what level you are playing. While a lot of time is spent on the improving technique, consistency and implementing strategy, it seems that footwork, strength, balance and overall conditioning is neglected for the most part. We have developed a blueprint that will allow all players access to the fitness side of tennis and ultimately help players reach the next level of their game." The Total Tennis Performance program begins January 7th, 2012. Prices range from $20-$30 per class. To sign up or request more information, please visit the program website. 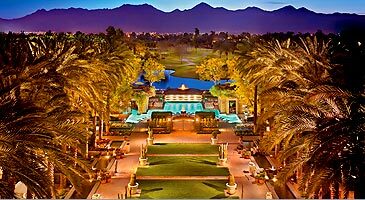 Located at the Hyatt Regency Scottsdale Resort and Spa at Gainey Ranch, Joshua and his staff offer high quality instruction, hitting groups and clinics, tournaments and events and customized programs for all levels and ages. Joshua, who is certified with the USPTA, has been teaching in the valley for over 10 years and has several years experience working with advanced juniors. He has worked with respected tour-level coaches and players, and has developed his own unique teaching style. Joshua enjoys working with all levels of players. For more information on additional programs at the Hyatt Regency Scottsdale, please contact Joshua Cooperman at Joshua@scottsdaletennis.org and visit www.scottsdaletennis.org. Located in Scottsdale, Arizona Method Athlete combines proven methodology with unmatched experience to help each and every client achieve their fitness and performance goals. Taking fitness beyond the gym, Method Athlete equips their clients with an all-encompassing health and performance plan that achieves results from the inside out. Method Athlete also provides custom golf fitness training.